How a wig gets its theatrical debut! Late last week, The New York Times ran a story: The Big Wigs of Broadway. 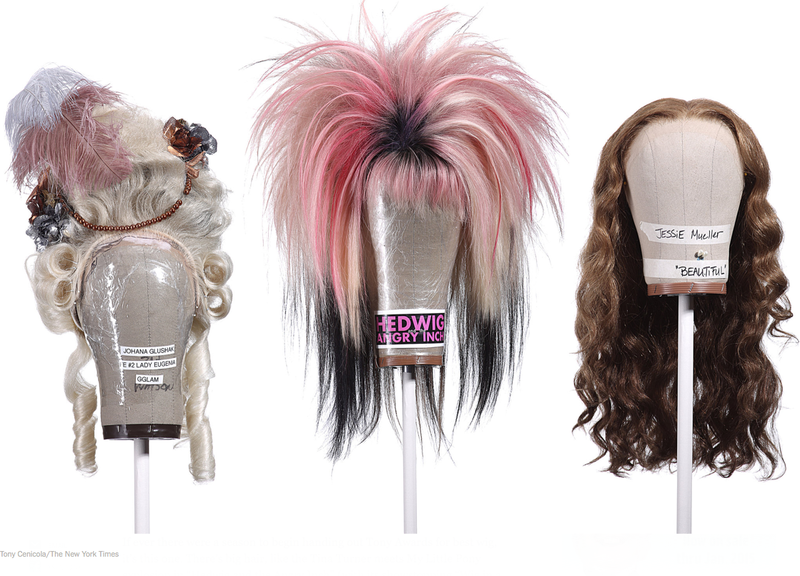 It featured pictures of wigs from the the top Tony contenders, including Aladdin, The Cripple of Inishmaan, Hedwig and the Angry Inch, and Of Mice and Men. "Hand-tied wigs of human hair, the norm on Broadway, are time consuming to assemble. 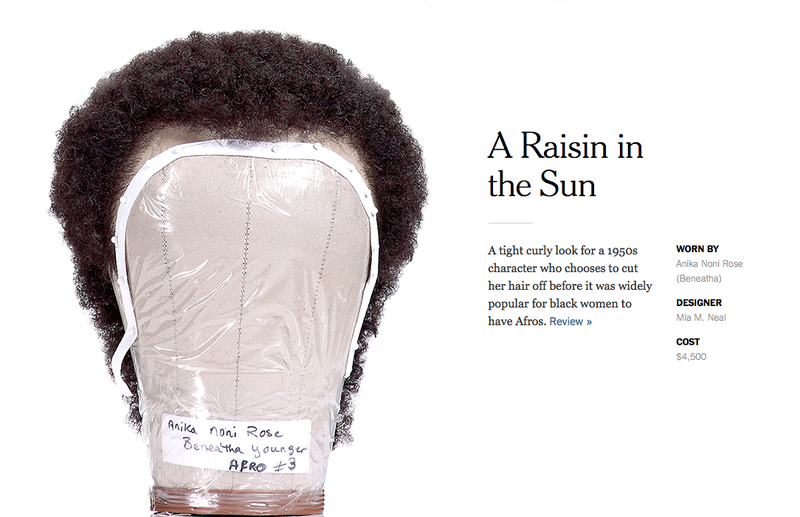 It took the designer Mia M. Neal about 80 hours to make an Afro for “A Raisin in the Sun.” Wigs can cost over $5,000 each." 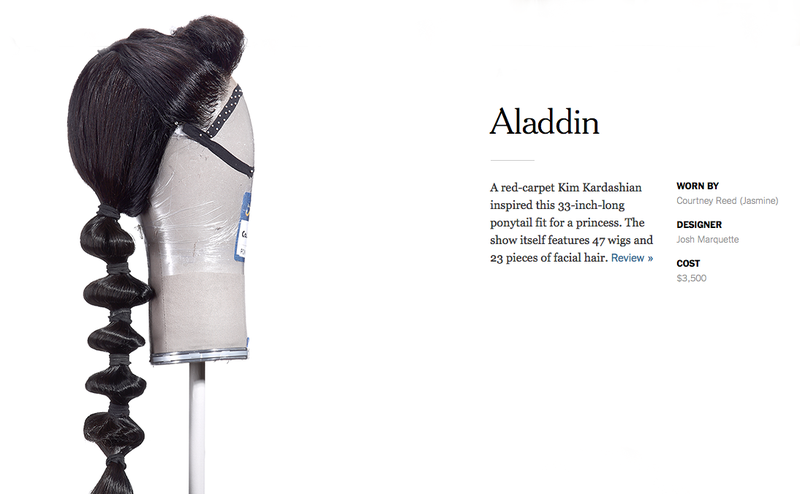 Their special feature lists the play, wig designer, the cost, the wearer, and a short description. Check out a few of them below or head over to the Times' website to see them all.